Facebook may not value your control of your data, but they sure as heck value their control/ownership of your data. 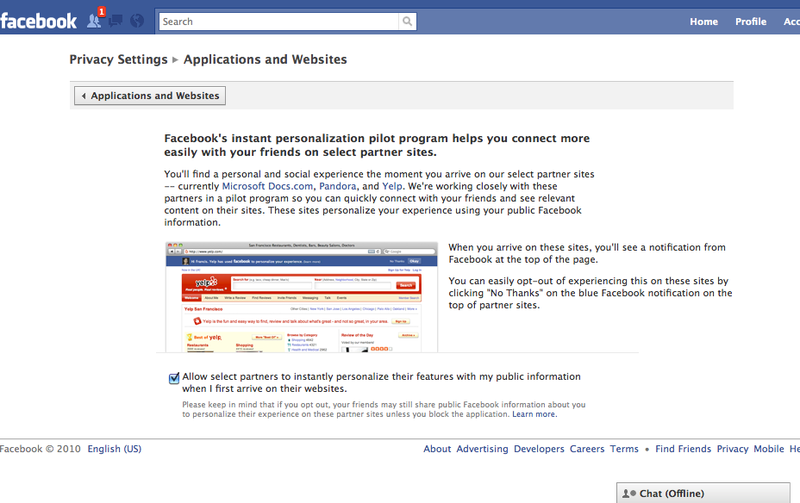 Go to "Privacy Settings>Applications & Websites>What your friends can share about you" and uncheck everything. While you're poking around in there, you might want to go to "Account Settings" and "Facebook Ads" and stop advertisers from using your information in their ads. Be care there - there are two actions on that page, so scroll down to get the 2nd one. I think there is much more simple way how to get rid of that constant snooping ... https://ssl.facebook.com/help/contact.php?show_form=delete_account ... I really don't have time on those clowns. Life is too short to waste it on unchecking yet another wave of privacy leaks in Facebook. You're mistaken about them not using advertising - they've just moved into the shadows. All of that information you're fruitlessly trying to protect (Facebook's privacy changes are intended to give access to your data) is being sold to advertisers so they can target ads to your interests. Why not just delete your account? What's the point of having something that will be of no use to you? That you have constantly be vigilant? Something that works against you? I gave up on Facebook after the last big privacy change. You know, the one that Mark Zuckerberg also got wrong on his first try. Not worth my time trying to keep up with their changing settings that are made deliberately hard. The classic axiom of the web is that if you don't want people to access your data, don't post it. It goes for those hackish no-right-click scripts as it does for what's on Facebook. If you're not comfortable with a service having certain information, don't post that information.